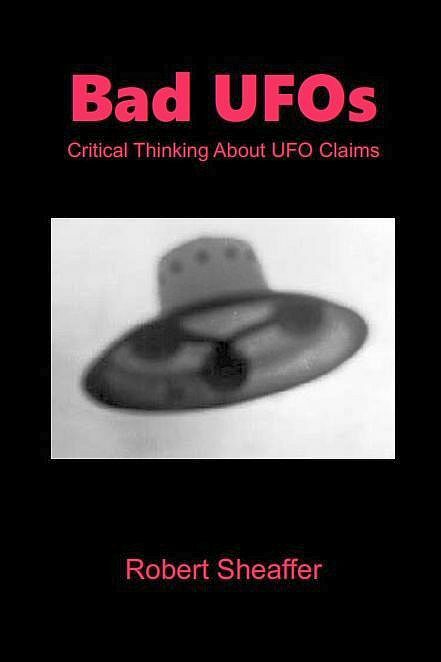 Bad UFOs: Skepticism, UFOs, and The Universe: It's Your Last Chance!! As a Public Service, we bring you the following message: Today is the LAST DAY to invest in To The Stars, and be in on the ground floor of all that far-out physics and UFO artifacts. You can invest on-line until midnight tonight (Pacific Time). Blogger Jason Colavito has explained why this is probably not a good investment. But hey, it's your money, so do with it what you will. Meanwhile, To The Star's A.D.A.M. project, whose task it is to investigate alleged physical samples from UFOs, claims to be looking into as many as seven possible extraterrestrial samples. It's an exciting claim, but the UFO field has heard many such claims before. But the most important question is: what will To The Stars do for money now that they can no longer cajole supposed "investors"? WHAT?????? That 2 million dollar check I was expecting only came in the mail today. Does that mean I missed out this amazing, once in a lifetime opportunity to Go To The Stars. I'm gutted!!!!!!!!!! Say it ain't so!! "The Company has incurred losses from operations and has an accumulated deficit at June 30, 2018 of $37,432,000. These factors raise doubt about the Company’s ability to continue as a going concern." The aforementioned flotation's just gone Titanic. Is that fish I can smell? What have they spent all this money on? I am sure enquiring IRS inspectors will want to know. Do they have a prize for Creative Accountant of the Year? ...But if that gaping hole in their finances is in any sense real, it might help explain why they're only putting up combined $60 grand for their materials investigations and their magic new propulsion tech. Guffaw. I am not sure how they could even think of making this into a money making exercise unless they expected people to buy thousands of dvds, books, and t-shirts. People who have invested in this have got to be nuts......Oh wait...this is all about UFOs....Enough said. They have raised about $5 million..thats total right ? Yet have debts of around $37 million. Where did the magical $32 million come from ? It came from their creditors. It came from any kind of term-based financial arrangement where they got either money, goods, services or whatever without having to put up the cash for it upfront. But at some point they have to pay it back—with interest. Think loans, mortgages, credit cards, bank account overdrafts, suppliers letting them buy inventory on credit and so forth. It's no more magical than whatever your monthly take-home is, minus the accumulated total amount you have to pay back the payday loan place, GM Financial and your Aunt Esther for bailing you out of jail that one time. It's fair to say that DeLonge and Co's various shell companies are TTSA's biggest creditors, though. As if anyone but the most die-hard ETH believer thought TTSA was anything but a vehicle to pad someones bank account. But the real question is: What is going to happen to the hot-dog stand??? Didn't you know these guys are into timewarps and all such stuff as that. My interdimensional sources, who are utterly reliable, tell me they sold it to George Adamski. TTSA had better get its act together, and fast, or risk having some other group beat them to the Stars. Joe Firmage (remember him? )has produced a "device" that boasts of Anti-Gravity, and Faster-Than-Light travel. Move over, Hal Puthoff!